Network capacity planning aims to ensure that sufficient bandwidth is provisioned, allowing network SLA targets, such as delay, jitter, loss, and availability, to be reliably met. It's a complex, error-prone task with serious financial implications. Until recently, the network data necessary for insightful capacity planning was generally only available via static, historical, after-the-fact reports. This situation is now rapidly changing. "By pairing advanced data science and cognitive technology such as AI and machine learning, IT can drive new and smarter predictive insights to improve network capacity-planning accuracy," says Ashish Verma, a Deloitte Consulting managing director specializing in cognitive analytics. "This helps organizations unleash data to make more agile decisions, improve operational wisdom, avoid downtime and create a better user experience." Leveraging AI to analyze data from multiple sources offers much greater accuracy than the traditional network monitoring tools that look strictly at link utilization, notes Fredrik Lindstrom, a manager in the U.S. CIO Advisory practice of business consulting firm KPMG. "AI also enables modeling of different performance scenarios and ties network performance to application performance to determine how applications are impacted in different performance scenarios." AI-driven machine learning applied to network performance allows a network controller to learn from experience while it enhances the network. "As it learns, the analytics model it uses for decisions is optimized and becomes a better representation of the true intent of the network and its business goals," says Duval Yeager, analytics and machine-learning subject matter expert at Cisco. "This provides accurate capacity planning as the network grows, changes, and applications and users are added – both locally and in the cloud." AI and machine learning methods can be effectively applied to traffic prediction/forecasting, traffic pattern detection, online learning and automated decision making, observes Yan Huang, assistant professor of business technologies at Carnegie Mellon University's Tepper School of Business. "Advanced machine-learning algorithms can take large-scale and highly granular network data as inputs to generate precise demand forecasts for each node in the network and detect intertemporal patterns/trends in network traffic and utilization," Huang explains. "The improved traffic and demand prediction will enable more accurate assessment of network capacity requirements and reduce the need for resource over-provision." Early detection and discovery of intertemporal patterns or changes in network traffic allow organizations to take proactive actions to ensure network performance. "Sophisticated predictive models can be combined with optimization and/or simulation techniques to automatically generate the optimal network structure or structures and the corresponding capacity and resource plans," Huang says. Such plans can then be tailored to the specific performance metrics the organization cares most about. AI technology can also process real-time traffic data and make routing and allocation decisions dynamically, based on real-time network conditions. "It also enables on-demand models for incremental capacity provisioning," Huang explains. All of these factors can significantly reduce capital expenditures and operating expenses related to network development, maintenance and refinement, while lowering the effort required from IT professionals to manage such activities. Once installed and properly configured, network AI technology can automate network capacity planning, accounting for both the financial and risk appetite of the organization. 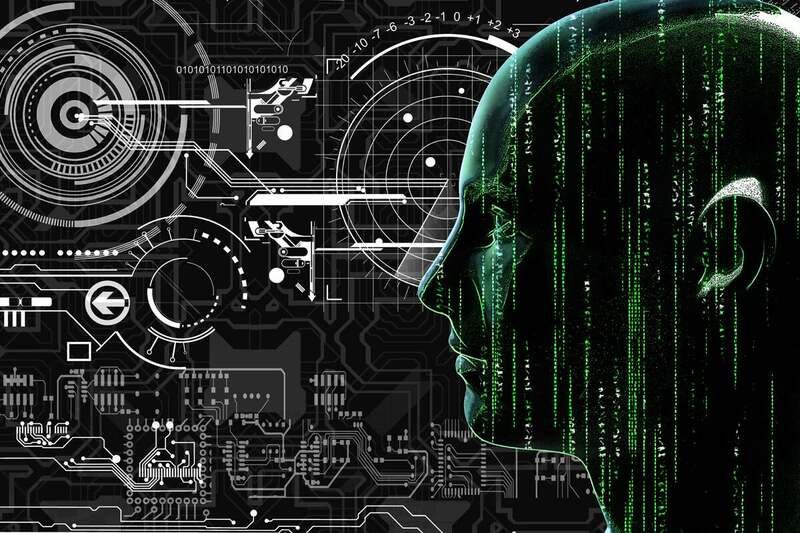 "AI can analyze many different data points in real-time or near-real-time, which is critical as organizations migrate to virtualized network overlays across their data centers, cloud environments and WAN," Lindstrom says. AI can also be used to analyze network traffic patterns in various ways, helping organizations gain insights into exactly what's running across the network as well as the overall network load. "This detail is useful for short- and long-term capacity planning," explains Doug Tamasanis, chief architect and senior director of networks and security for Kronos, a workforce management software and service provider. In the short term, AI can predict daily traffic bursts at granular levels, such as application, location, technology and protocol. These findings can then be used to protect against performance degradation during peak periods. "In the long term, an AI system can perform optimal capacity planning, anticipating when short-term bursts can't be met and [when] whole scale upgrades are required," Tamasanis notes. The best way to get started with AI-powered capacity planning technology is to acquire a proven technology that has already achieved some level of success and enterprise acceptance, suggests Marcel Shaw, federal systems engineer for Ivanti, an IT asset and service management software provider. "Meanwhile, administrators should approach recommendations produced by AI learning algorithms with caution," he says. "AI learning algorithms will drastically improve over the next several years, so it will be important for customers to be patient and allow AI technology to mature before placing all their trust into the capacity requirements recommended by the AI solution."